Having choreographed and staged Splendid’s (2000), Showroomdummies (2001), Stéréotypie (2003) and Tranen Veinzen (2004) with Etienne Bideau-Rey, and having centred my work on the relationship between natural and artificial bodies, I am now aiming, with I Apologize, to explore this topic further and to work at the same time on the idea of a disturbing strangeness, this time through an accident reconstruction. I Apologize was born out of this reconstruction, which is the basis from which several versions of the same event derive, in order to define its truth and reality. These various versions take on a blurred identity, somewhere between the representation of a real event and the representation of a fantasy, and are the foundation of the structure of the play, a reflection on reality, and of the possible representations of reality. 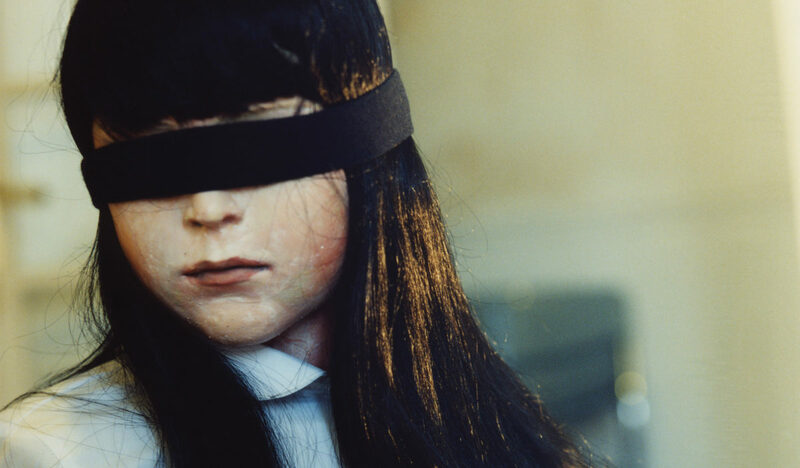 A young man is in charge of these different versions of reality, by directing a man and a woman, both baroque and rock icons, and twenty-odd young girls, all aged around twelve, represented by articulated dolls. Confusion slowly creeps in our perception of reality, which thus appears as a world of approximations and subjectivity, whose gaping holes we fill with our own fantasies. American author Dennis Cooper has written poems and monologues especially for this show, which question the real or imagined link between those and the events happening on the stage. Cooper himself will be reading these texts, which are intricately linked to Peter Rehberg’s musical score. The texts and staging of the play interact and conjure up images associated to sexual desire, death and crime. They raise issues about imagination in relation to fantasy and its impossible fulfilment. Although music and words are at the core of the show, bodies and dolls – and therefore the aesthetic offering – are also at the centre of the project. This is why this show, although undeniably influenced by choreography, is nonetheless derived from a work process that is truly one of a puppeteer. This work is designed to be an exploration of the emotions that are born of the intricate link between eroticism, death, and the disturbing stillness of dolls and puppets.